Web Development Apprentice € 65.00 Registrations period has ended. Web Development Apprentice - Early Bird € 50.00 Registrations period has ended. 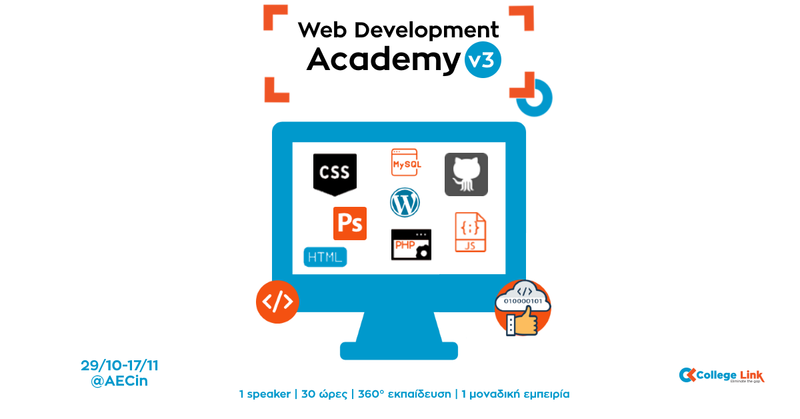 Web Development Apprentice - Άνεργοι/Φοιτητές € 50.00 Registrations period has ended.